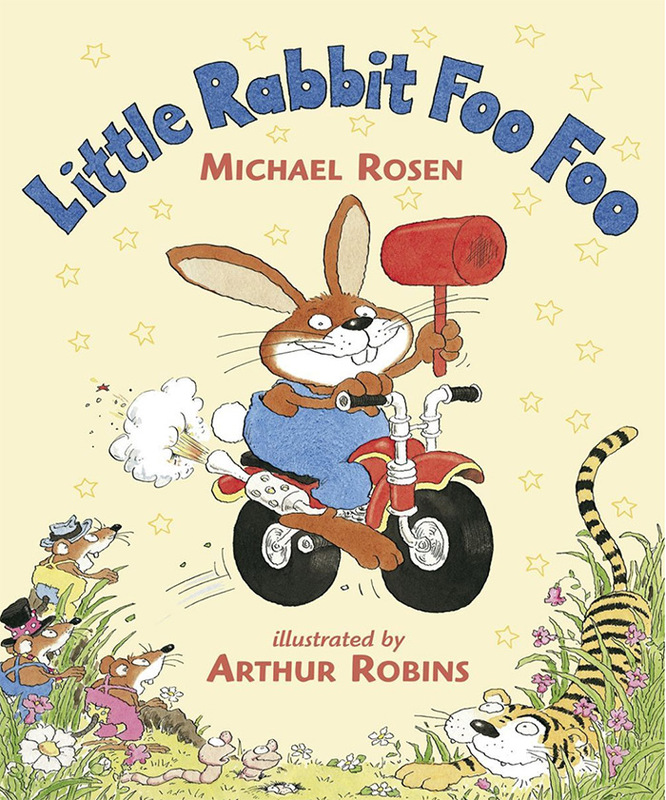 A hilarious biker bunny tale by Michael Rosen. He’s wild, he’s wicked, he’s Little Rabbit Foo Foo! In this read-aloud romp by the incomparable Michael Rosen, author of We’re Going on a Bear Hunt, the bully-boy bunny likes nothing better than to ride through the forest bopping everyone on the head. Wriggly worms, tigers, no one is safe. But here comes the Good Fairy – and she is not amused!